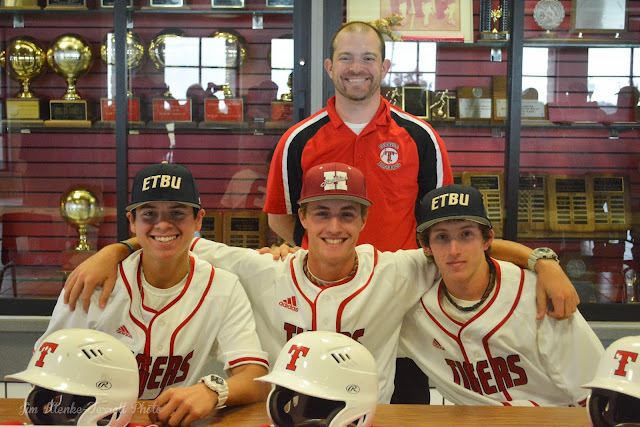 Three seniors for the Terrell Tigers baseball team signed to play baseball at the next level yesterday. From left to right, Mychal Alsip will play at East Texas Baptist, Kris Priddy will go to Henderson State and Brendon Mann will join Mychal at East Texas Baptist. Head baseball coach Gage Davis is standing behind the young men. These are great kids who I look forward to following in college.